Relax in a bath crafted with strong geometric lines and a low-stepover design that makes it easy to enter and exit. The slotted overflow ensures whole-body immersion with maximum water depth. Sturdy cast iron construction and a slip-resistant floor offer long-lasting performance and safety. The E-Series 60 in. x 30 in. E6030 Dual Massage Walk In Tub is the most affordable walk in tub featuring an easy-to-clean high gloss triple gel coat tub shell for excellent colour uniformity. Stainless steel frame with adjustable feet and has a 6.5 in. threshold for easy entry. ADA Compliant with components of 17 in. seat height, textured floor and a built-in grab bar. The E6030D dual massage tub comes standard with eighteen 18 therapeutic air massage jets; six 6 adjustable direction hydrotherapy jets, both with pneumatic on/off push controls; and features an in-line water heater 1.5KW. Includes a five 5 piece roman faucet in chrome with hand held shower unit. The E6030 has soaking, air massage or dual massage options and right or left drain location. Size: 30 in. width x 60 in. length x 37 in. height. Limited Three 3 Year warranty on tub components. For more product information, please call 1.800.480.6850. The Ella E54 Soaking Walk In Tub is the most affordable walk in tub featuring an easy-to-clean high gloss triple gel coat tub shell for excellent colour uniformity. Stainless steel frame with adjustable feet and has a 6.5 in. threshold for easy entry. ADA Compliant with components of 17 in. seat height, textured floor and a built-in grab bar. The E54 soaking includes a five (5) piece roman faucet in chrome with hand held shower unit. The Ella E54 has soaking, air massage or dual massage options and right or left drain location. Size: 30 in. width x 54 in. length x 39 in. height. Limited Three (3) Year warranty on tub components. For more product information, please call 1.800.480.6850. The E-Series 60 in. x 30 in. (E6030) Soaking Walk In Tub is the most affordable walk in tub featuring an easy-to-clean high gloss triple gel coat tub shell for excellent colour uniformity. Stainless steel frame with adjustable feet and has a 6.5 in. threshold for easy entry. ADA Compliant with components of 17 in. seat height, textured floor and a built-in grab bar. The E6030S soaking tub includes a five (5) piece roman faucet in chrome with hand held shower unit. The E6030 has soaking, air massage or dual massage options and right or left drain location. Size: 30 in. width x 60 in. length x 37 in. height. Limited Three (3) Year warranty on tub components. For more product information, please call 1.800.480.6850. This ProFlex whirlpool combines a space-saving design with a spacious, contoured bathing area, integral lumbar support and armrests for maximum bathing comfort. A pump powers six adjustable ProFlex(R) whirlpool jets that provide a strong, steady level of hydro-massage. For drop-in installation, this model is constructed of high-gloss acrylic for years of exceptional durability and luster. Also available in store by special order only see store for details. 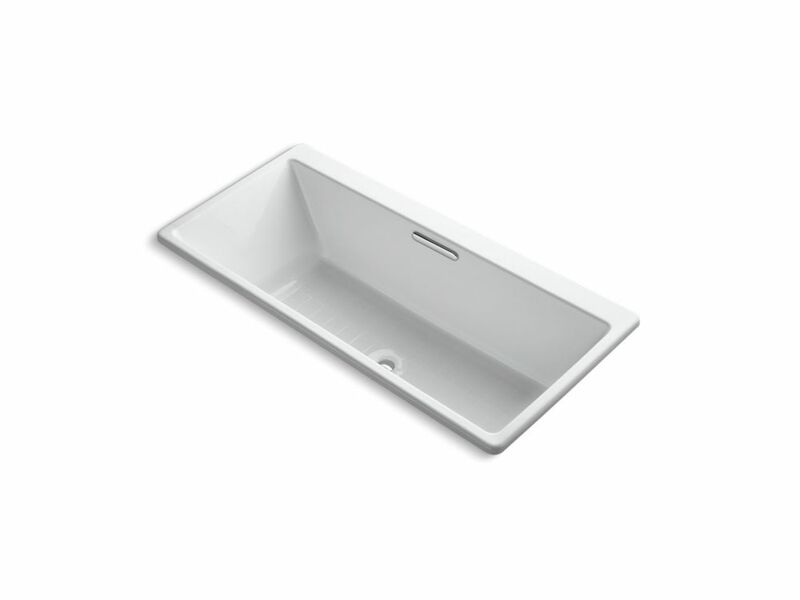 Reve 67 inch X 32 inch Drop Inch Bath, White Relax in a bath crafted with strong geometric lines and a low-stepover design that makes it easy to enter and exit. The slotted overflow ensures whole-body immersion with maximum water depth. Sturdy cast iron construction and a slip-resistant floor offer long-lasting performance and safety.